Voodoo 13 is a MIL-SPEC parts manufacturer, Made in the USA, suspension for street, drift and road racing. The evolution of motorsports has created more horsepower, faster speeds and technology that will not stop. Progression is inevitable. Military Spec AKA MIL-SPEC is a standard used by the Department of Defense. Machinery, weapons and tactical equipment are now expected and demanded to deliver at this level. Made in USA has become synonymous with quality craftsmanship. Combining elements of modern requirements in the motorsport world, MIL-SPEC standards and manufactured in the USA we present to you; Voodoo 13. 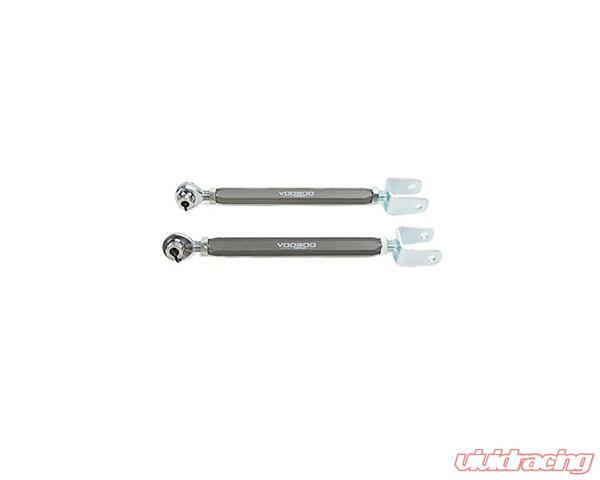 Voodoo 13's 1989-1994 Nissan 240sx S13 Rear Toe Arms are designed, engineered and tested on race tracks across the globe using feedback of top tier drivers and technical directors. 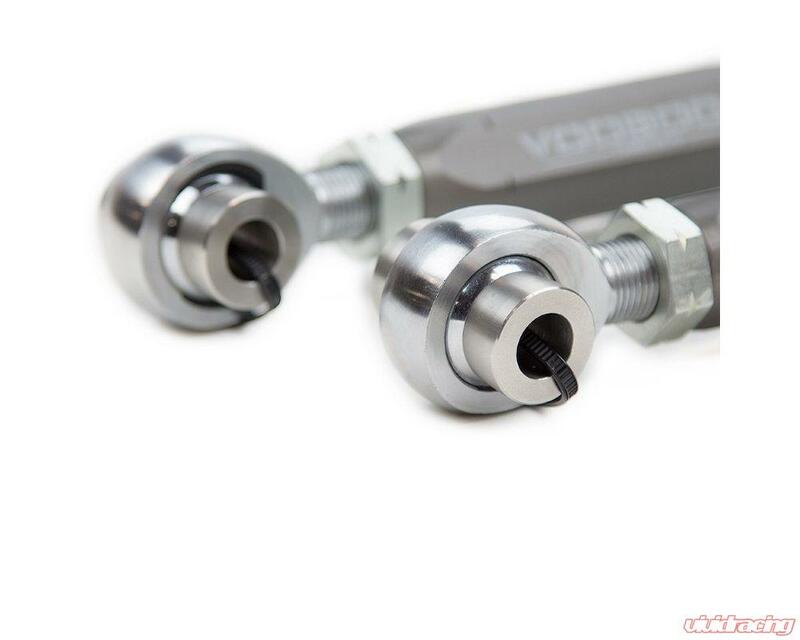 Voodoo 13 precisions CNC machine the adjusting rod from high strength 6061-T6 aluminum and then treat them in MIL-A-8625 Type III Hard Anodize. Voodoo 13 steel bracket is CNC manufactured with TIG welded construction. Grade 8 zinc coated hardware is used to protect against the elements. Stainless steel spacers are made in house to fit perfectly into the heim joints. Voodoo 13 products are Built to last and we ensure they will withstand abuse from street cars and track cars alike. 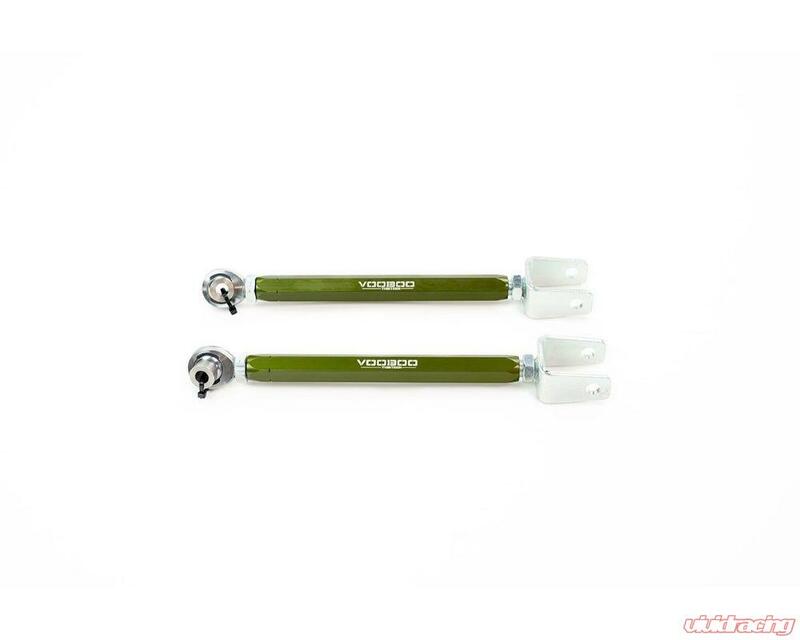 Voodoo 13 uses USA made QA1 XM Chromoly Steel heim joints that are heat treated for strength and durability. 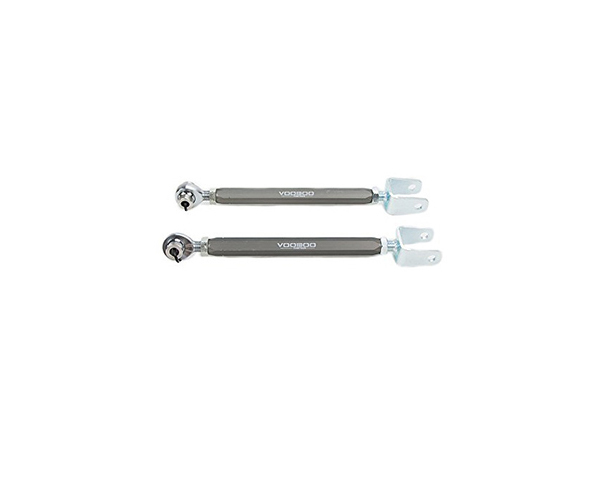 The spherical rod end is self-sealing and self-lubricated because of their Nylon/PTFE injection molded race that keeps out dirt and debris. All of Voodoo 13's products are engineered, manufactured, and assembled at Voodoo 13's Gilbert, Arizona facility using only the best materials from US suppliers.